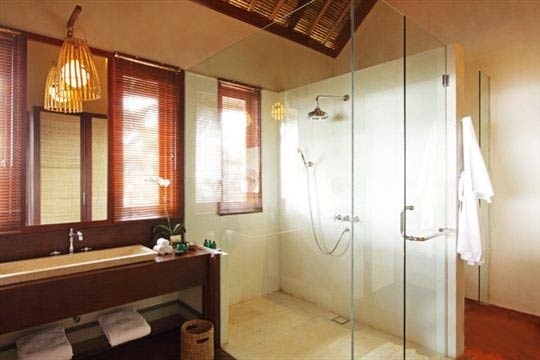 One of a luxury enclave of five out-of-town beachside villas, Sound of the Sea offers five bedrooms and five-star service. This, combined with glorious coastline views, a 20m infinity pool, home cinema and a series of open, poolside pavilions for relaxing and dining, makes it perfect for families, groups and weddings. From the soothing melody of gentle waves lapping the shore to the booming roar of the ocean surf as it pounds the reef and rushes up the beach, the sound of the sea is mesmerising and unforgettable. 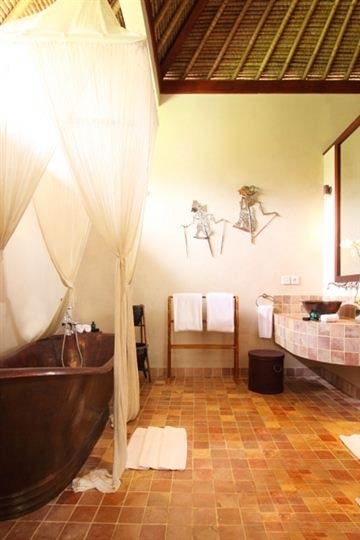 Resting absolutely beachfront, beside an out-of-the-way stretch of brown-sugar sand and a mangrove-lined river estuary, is the blissful and aptly-named, five-bedroom property Villa Sound of the Sea. The songs of the waves will serenade you while you dine alfresco at the water’s edge, they will captivate you like a hypnotic mantra while you indulge in a massage, and they will lull you to sleep at the end of the day. This is definitely not just an empty seashell pressed against the ear. Villa Sound of the Sea resonates with open-air living, dining and relaxation pavilions, a 20m infinity pool, separate kids’ pool, and an air-conditioned home cinema. 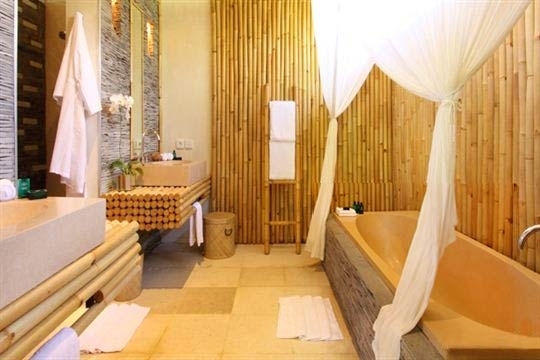 The thatched-roof architecture is a contemporary take on the classic Balinese style, while the interiors are a quirky cohesion of funky furnishings and natural stone and timber fixtures, especially in the ensuite bathrooms where each space has been given its own distinct look. 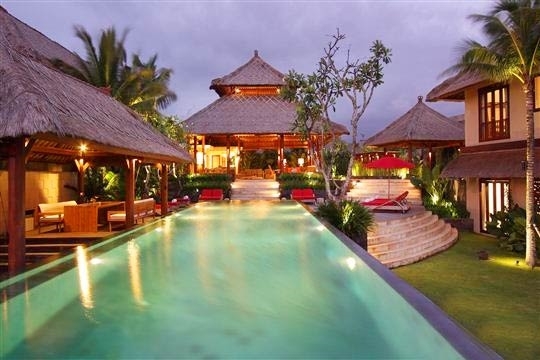 This glamorous villa is a place to immerse yourself in the beauty of the locale. 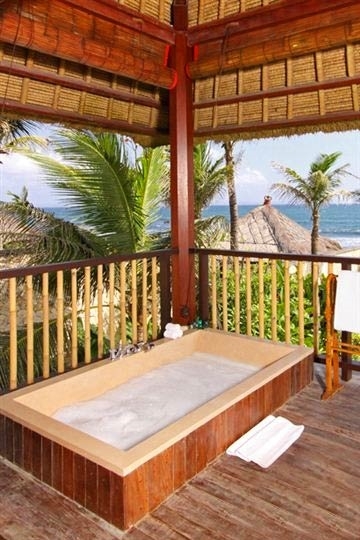 Here, you can sink into a soaking tub on the balcony of the master bedroom and be swept away by the glorious view of the sunset over the ocean. 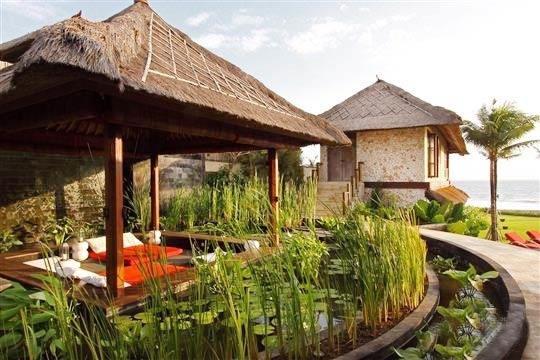 When all five villas are booked together (offering a total of 26 bedrooms), Pantai Lima works particularly well as an executive retreat or wedding venue. The enclave’s impressive range of guest facilities includes a tennis court and a seminar room. Meals can be selected from the villa’s extensive menu or prepared according to request (provisions, at cost, on guest account): the on-site, five-star French chef will transform even the most basic of ingredients into something magical. All the staff are trained to the highest standards, and through the clever use of shift work they are on call 24 hours a day. The rhythm of the waves will serenade you while you dine alfresco at the water’s edge. Villa Sound of the Sea is a wonderland of spaces designed for relaxing. We lounged by the pool for a large part of the day, were massaged in a ‘floating’ pavilion and watched movies on the big screen in the media room till late. The next morning we breakfasted right on the edge of the sand watching both the surfers riding the waves and the local fishermen trying to avoid them as they brought their small outriggers up onto the beach. On the occasion of our visit, the low tide fell in the late afternoon and opened up the beach. It seemed like the whole village was down on the sand taking advantage of the lull. This is normal community activity, especially on Sundays, with boys playing football, women gossiping, and fathers and children (and us) playing in the river estuary. The beach is bordered by a wide reef, which makes it popular with surfers, but at low tide the reef is exposed and creates a very interesting foraging opportunity for kids who want to go in search of crabs and shells in the rock pools. The neighbouring Villa Mary had three families staying with a large pack of under-eights who were loving the experience. Make sure you try the hot tub as well: it is truly decadent in a hot climate, but oh-so-nice for taking the chill off the water when the sun goes down. The staff delivered fresh drinks on an almost-clockwork, 20-minute schedule, earning both our praise and a nice fat tip. Also take time for a dip in the river mouth, it is calm and cool and also gives you the opportunity to see the five Pantai Lima properties in all their stunning glory from the outside. Music is piped throughout the villa and garden. The villa owners are French, so don’t be surprised to hear a chanson or two coming out of the speakers hidden in the undergrowth. Édith Piaf pour le petit déjeuner anyone? From the front of the property the views are huge, ranging from the Bukit peninsula to the tip of Seseh, with lots of sand, blue water and sky filling in the gaps, especially when viewed from the end of the infinity pool. Visitors are often disappointed by the rubbish that collects on Bali’s beaches, but we are pleased to report that the sandy beach in front of Pantai Lima is kept impressively clean by the staff. In Indonesia’s current climate of high alcohol pricing it is wonderfully refreshing to find that all alcohol at the villa is charged at cost price. Since you are already paying a noble sum for the luxury experience, this more-than-fair policy is a real credit to the Pantai Lima owners and management. Combine this with the wonderful gourmet cuisine from the five-star French chef, and you won’t feel any need to go out for drinking and dining. The sea outside is great for surfers but not recommended for swimming. The river mouth, however, is safe and clean and provides hours of fun for the whole family. We celebrated not only our wedding in this wonderful place, but also the reunion of both our families. It has been an extraordinary experience for us and staff as well as environment were like a dream. Thanks to everybody for that very special time, that nobody will ever forget. 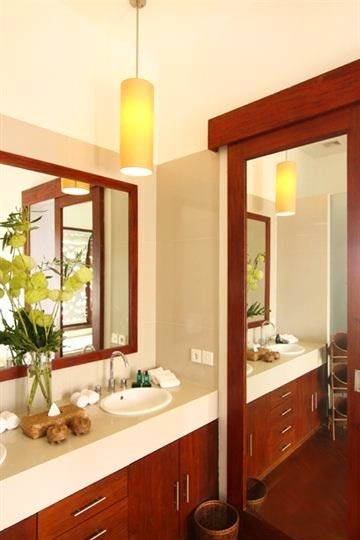 The enclave of five villas known collectively as ‘Pantai Lima’ (which also includes Villa Waringin, Villa Melissa, Villa Mary and Villa Ambra) is situated eight kilometres north of trendy Seminyak on an isolated beach peopled only by a few hard-core surfers, the villa security guards, and the odd fisherman. On one side is a river estuary, on the other a field of cows, and inland are rice fields as far as the eye can see. 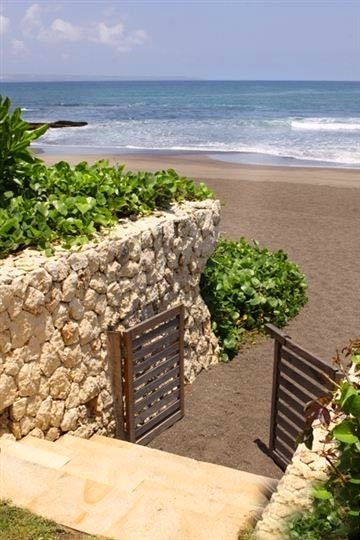 If you walk along the beach the villa is just 700m southeast of the small, friendly village of Seseh, although it falls on the Canggu side of the river estuary. 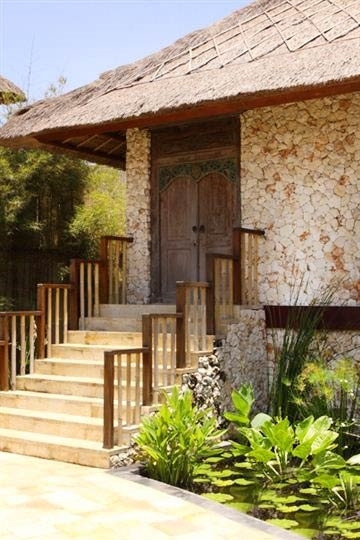 Entered via a covered colonnaded walkway, the property unfolds to reveal a series of stand-alone pavilions, the most impressive of which is the open-sided living and dining room, fashioned in the style of a Balinese village meeting hall or wantilan with a high, two-tiered roof supported by wooden pillars. It is furnished with sofas, chairs and a large glass-topped oval dining table for ten. Next to this, the sun deck sports ten bold red sun loungers beside a 20m pool, which juts out towards the ocean and lives up to its infinity moniker, overflowing on all sides and with a separate hot tub at the far end. 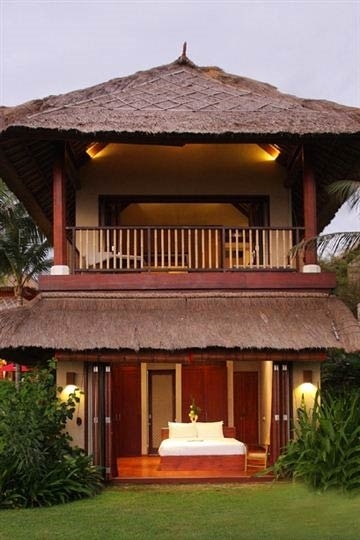 Another thatched pavilion runs adjacent to the pool furnished with a wooden table and bench seating for ten. Alongside this is a small shallow kids’ pool, perfectly positioned so parents can keep an eye on the little ones while they swim. And, just to spoil guests for choice, a third dining table is positioned alfresco on the edge of the beach. Further back in the garden, encircled by a koi pond, is a sunken, cushioned, chill-out lounge which doubles as a massage pavilion. There is only one double-storey building at Sound of the Sea; housing three of the bedrooms, with the master suite on its upper floor. Here, under a pitched ceiling, French windows open onto a panoramic deck with a romantic outdoor bathtub. 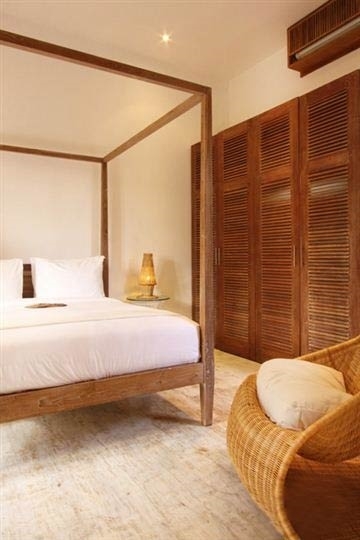 This suite also incorporates an indoor bathroom with a walk-in rainshower, and a large sitting room at the back with a Balinese daybed, which can sleep one child. 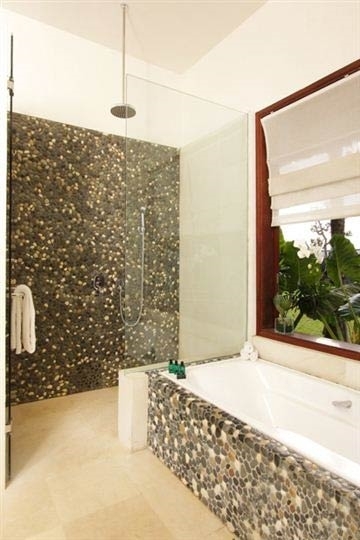 Located beneath the master suite are two bedrooms with ensuite bathrooms fitted with walk-in rainshowers and bathtubs. Both bedrooms open on to the garden and are blessed with ocean views. Finally, a single-storey pavilion close to the entrance of the villa houses two more ensuite double bedrooms, also with walk-in rain showers and bathtubs. 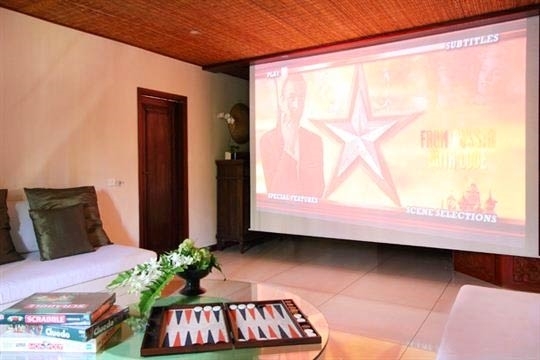 These bedrooms are situated on either side of a media room fitted with a bar, a long built-in sofa, and a high definition TV and movie projection system, complete with a library of DVDs. 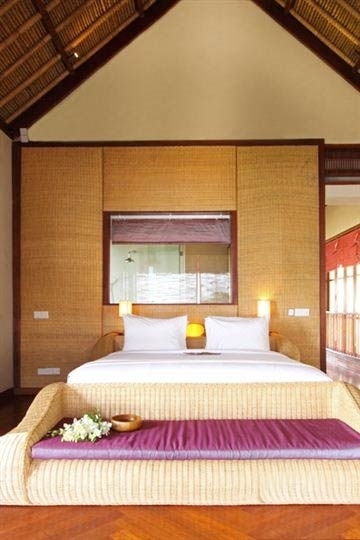 All five bedrooms are equipped with air-conditioning, TVs and DVD players, all have queen-size beds apart from one (in the two-storey pavilion), which has a smaller double bed. Above rates are subject to change. For approximate rates, please click on the Check Availability button and enter your dates. 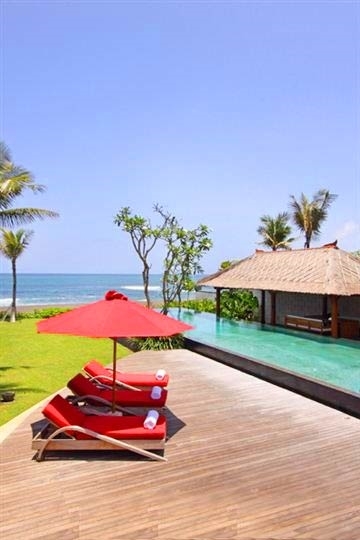 Upon arrival at the villa you will be required to sign a waiver of liability and a credit card authorization form which will allow for damages and any additional charges that you may incur to be charged against the card. .
5 bedroom villa located in Canggu, Bali. 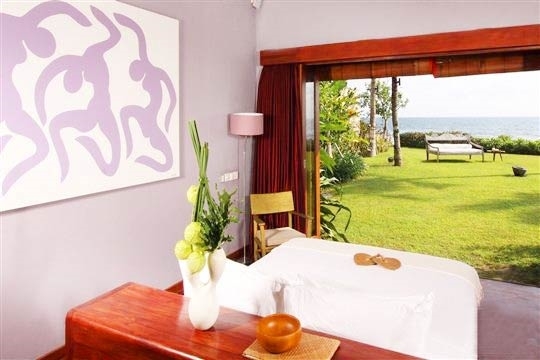 Ideal for Beachfront, Body and soul, Bring the relatives, Executive escape, Kid friendly, Gastronomic delights, Going for golf, Fair share for groups, The great outdoors, Party pads, Sensible for seniors, Room with a view, Perfect for weddings.